“Specialist Physician” honorees are selected based on their experience and history in forging successful partnerships to make healthcare accessible and results driven in the Tri County region of Southern California. “It is an incredible honor to be recognized by a leading organization as an outstanding specialist physician,” said Dr. Getelman. A leader amongst his peers, Dr. Getelman has served on the Board of Directors of the Arthroscopy Association of North America (AANA) where he also serves as the Director of the Development Committee and Enduring Materials Committee. Since 1999, he has served as a reviewer of studies published by the American Journal of Sports Medicine (AJSM) and is currently a reviewer for the Journal for Shoulder and Elbow Surgery(JSES). Additionally, he is the Medical Director and Chairman of the Board at Southern California Orthopedic Research & Education (SCORE), the not for profit research arm of the Southern California Orthopedic Institute. He has published numerous peer-reviewed studies, textbook chapters, and given over 175 presentations on the shoulder, knee and ankle. Committed to improving patient outcomes, Dr. Getelman has pioneered new surgical techniques. The first, “Hospital-Corner Repair” is applicable for any type of shoulder instability repair, including Bankart lesions, posterior labral tears, and multidirectional instability. Benefits of this technique include the ability to individually repair and tension the capsule and labrum independently. The second is an Intraosseous Biceps Tenodesis. It allows a minimally invasive all arthroscopic suprapectoral technique that is incredibly strong and does not require an expensive implant that can potentially damage the tendon at the fixation site. "Dr. Getelman has been a pioneer in the treatment of injuries to the knee and shoulder," said Dr. Nikhil Verma a shoulder specialist at Midwest Orthopaedics at RUSH in Chicago, Illinois. "In this changing healthcare time, it is of paramount importance that physicians and surgeons also are actively engaged in the process of health care delivery. 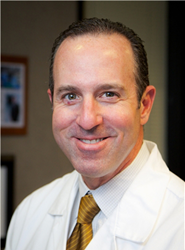 Dr. Getelman has been leading the charge to support access for his patients in the southern California area. This is a well deserved honor." Southern California Orthopedic Institute (SCOI) is on the leading edge of orthopedic care. SCOI specializes in the diagnosis and treatment of bone, joint and muscle injuries as well as musculoskeletal and spinal disorders in adults and children. Dr. Getelman is a senior partner and has been at SCOI for 20 years. Headquarted in Van Nuys, SCOI also has locations in Bakersfield, Ridgecrest, Simi Valley, Thousand Oaks, Pasadena, Valencia, Beverly Hills, and Porter Ranch caring for patients from all over Southern and Central California.